Time and discipline are two fundamentals to be follwed in every stage of life. This is the base of preparing this wonderful gift. This table top would be a perfect gift for your client or business partner on occasion of Diwali or New Year’s Eve. 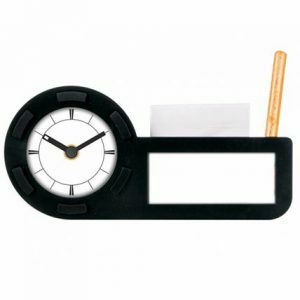 A pen stand along with a round clock would decorate the workstation perfectly.